Volunteers read for the print handicapped. To become a reader call (309) 677-3585. 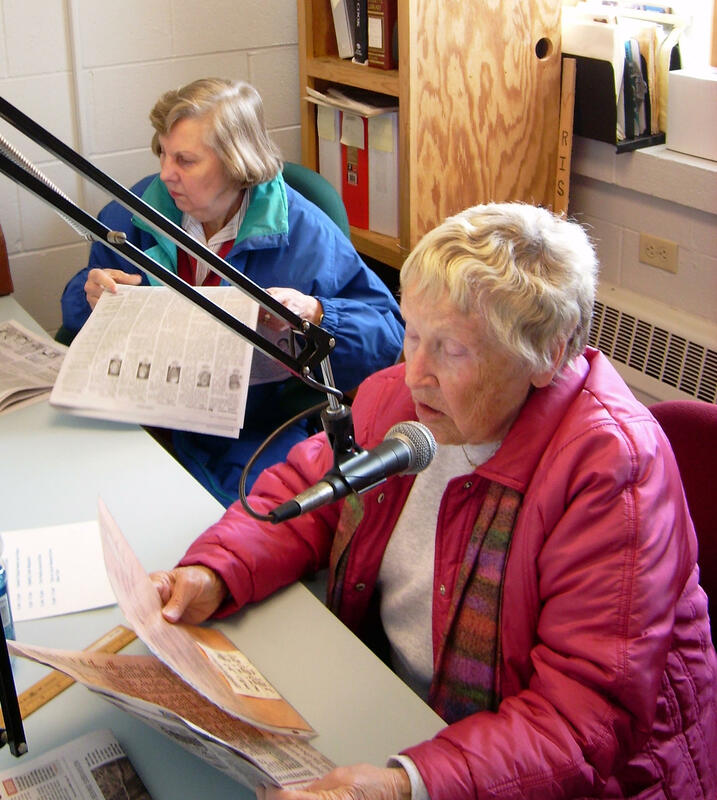 Persons with visual impairments can still stay connected with their world through our Radio Information Service. Peoria Public Radio supplies the required sub-carrier radio receiver FREE for you to keep for as long as you like, as well as a program Guide to let you know what's on the air, 24 hours a day, 7 days a week. To get a receiver, to make a donation, or to become a volunteer, call Director Lee Wenger or Volunteer Coordinator Dolores Schoolman anytime at (309) 677-3585.